This multi screen clene really is all in the name. A non-flammable, anti-static cleaning solution to ensure your screen is smear free. 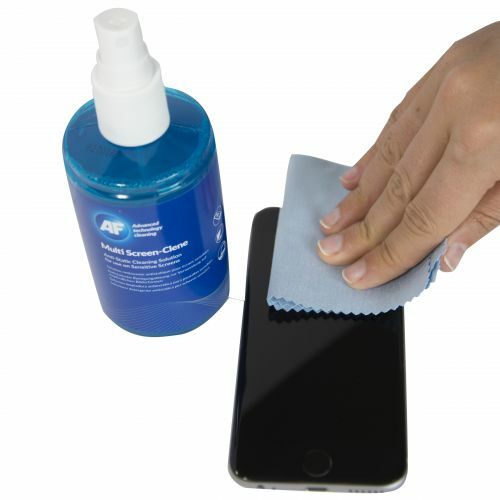 Effectively removes common grease, dust and fingerprints built up on screen surfaces. Includes an AF micro fibre washable cloth, it is the ideal cleaning companion to give an excellent result on many screens including TFT and LCD. Packaged in a pump spray bottle with cloth contained in the lid. AF International always recommends that you check manufacturers guide before using any screen cleaner or test a small area first.